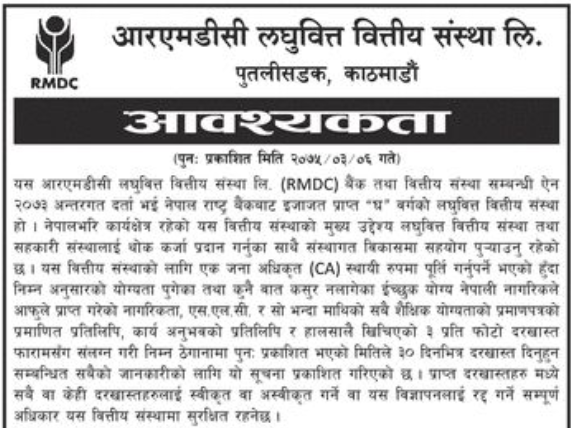 The Rural Microfinance Development Centre Ltd. (RMDC) is a wholesale lending organization in Nepal. It was registered on 30 October 1998 under the then ‘Company Act, 1996’ as a public limited company with the mandate to operate as a wholesale lending organization within the framework of the then ‘Development Bank Act, 1995’. RMDC was reregistered under the current unified banking law, the ‘Bank and Financial Institution Act (BFIA), 2006’ as a class ‘D’ financial institution. 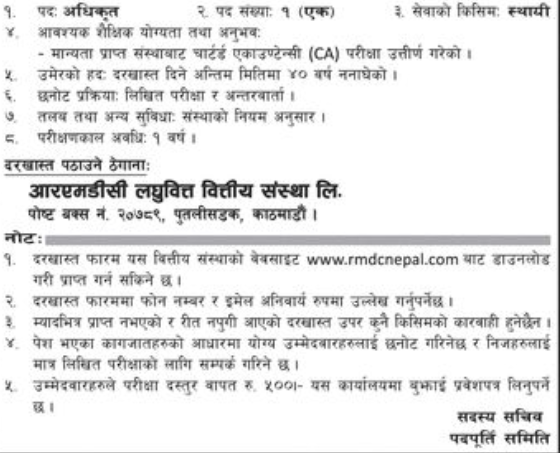 RMDC commenced its lending operation from January 2000.